constantly in motion, looking to be still. TLJ recommends you hit play below and take in the sounds while you read the rest of the text. I grew up in a small city where commute was maybe just five kilometers. And it was in the luxury of a car, or a car pool, or rickshaw with friends. I remember, after class ten particularly, the one part of the day I looked forward to was the to-and-fro between school and home. That was, ironically, the one part of our daily routine, where all the limits of the routine broke. 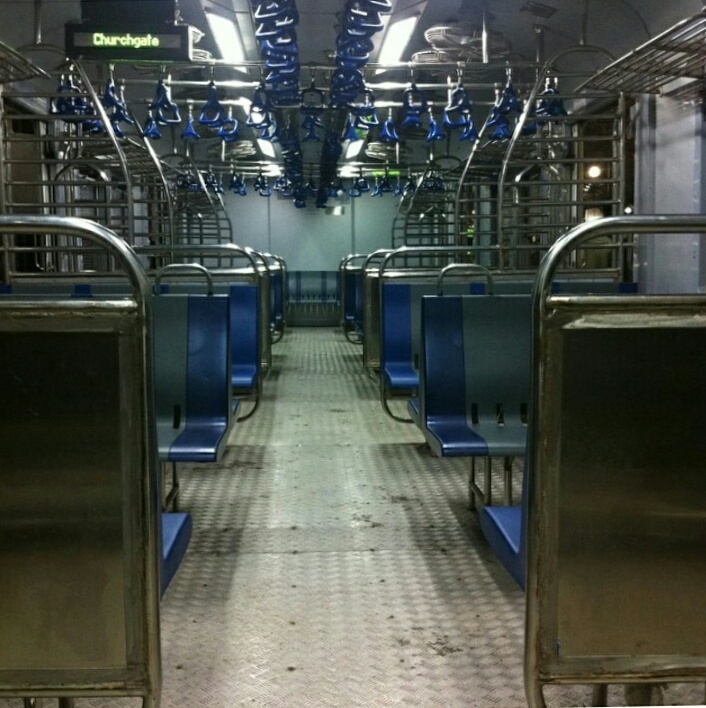 The next phase of my commute life began in the grandest arena of commute possible— Mumbai (or Bombay, if you please). I remember my first day in the city very clearly. The drive—from the airport in (formerly suburban) Santacruz to my temporary accommodation in Fort—was nothing short of exciting. Growing up on a staple diet of Bollywood and nurturing a good dose of topophilia, I was more than glad to be in the city. I imagined myself as the protagonist in a film, ready for the next grand adventure. Traversing the early morning, traffic-free roads of the city in a kaali-peeli, my head flew from left to right and back, trying to grab the sights that I rushed past—the fresh green of the vegetable stalls in the early hours of the Dadar market and the murky sepia of the clusters of homes as my cab flew on JJ Flyover. Till date, JJ remains a favourite part of the city to my magic-loving mind. There is something about the stillness and ageing of the structures as cars zip past - a silent reminder of the pace of life. I also remember my first Bombay local ride. I traveled between Bandra and Churchgate on a fast local-train. Most of my friends worried that I will lose my way, but I found a thrill in being able to do things I had only seen in film or read in literature. I eventually did find my way back quite easily. When, close to my first home in the city, I had first spotted the rush at Elphinstone Road station, I remember I’d vowed to myself that I would never be a part of the herd that was milling towards or away from the platforms. The straight lines of people coming and going—heads bent low focusing on their feet or their phones, shoulders hunched with the weight of their bags—felt nothing short of a dystopian nightmare. I spent close to two years plying on the same route to my office—sometimes by the local, sometimes bus and yet other times by a cab. In the three years spent in the daily up-and-down, between the moving of houses and the unmoving constancy of the office, I used all three lines that the local trains ply on—western, central and harbour. What working and hanging out around the city didn't teach me in three years, the commute did. Perhaps that’s why Mumbai commute is romanticised so much? The little experiences and observations from the times that I wasn’t being crushed by the weight of the masses or hanging precariously near the door of coach were the highlights of the train commute. Fortunately, on most days, I found my place near the door by choice. 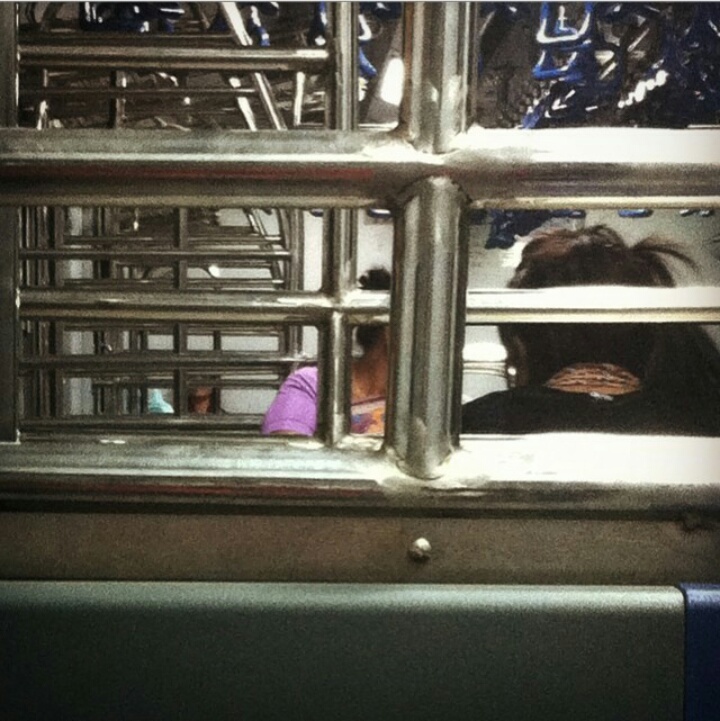 Typically, the train greeted me in the mornings with the mixed scent of hair oil, shampoo, metal, sunshine and lotion; most women engaged in daily routines of talking, listening to the radio or just staring into space. In the evenings, the train welcomed me back to a party of chatter and laughter, but also tiredness accompanied by plans for dinners to be cooked. Even hawkers chose their timings accordingly—the ones selling utility knick-knacks came by in the mornings, vegetable-sellers (whole as well as peeled) boarded the local in the evenings. Late afternoons were for jewelry-sellers who’d attract groups of school- and college-students or, on the weekends, crowds of tourists. I learnt a lot about Bombay through its cabs too— be it a regular kaali-peeli or an air-conditioned Ola or Uber. On days when I particularly wanted to stay away from the crowds so that I could ogle and muse at the city and its dwellers from a distance, I found myself in a cab where the sound of the air or the honking in a traffic jam would be the only music to my personal reveries—to the film in which I was the protagonist. Mostly smelling of incense in the mornings, the cab commute was like a silent film. Until, of course, the cab driver decided to share an anecdote, a commentary on a national- or state-level issue, or simply narrate a heart rending story from their own life. In that scenario, while I would still be the protagonist of my story, the perception of the magnitude of life would multiply tenfolds. Commuting through the city of dreams, the maximum city, the city that never sleeps also told me much about how a place is built on a comfortable structure of difference. Just traversing through different places during a basic daily commute was enough to decipher pockets of differing socio-economic status, and glance upon different consumption habits. While the western line would have ladies selling the fanciest vegetables, peeled and chopped, tempting tired passengers into buying a little ease for that night’s dinner-prep; the harbour line would rarely have any space for commerce. But when hawkers did find some space, the selection of the stock was kept basic and left loose—onions and tomatoes were not packaged into portioned bags. Even the pace and conditions of train lines, moving eastwards served as sociological markers in some ways. Being in one’s bubble, such as the distant comfort of a cab, can leave you with a structured existence—one with a definite sense of control over life and things. But when one enters the local, boarding it as just one face among many, a blur to a bystander, I cannot help but marvel at the insignificance of the self. In this mass of people, I was no longer the central figure that I am in the film that is constantly playing out in my head—and perhaps in everyone else’s with them as the protagonist in each of their stories. In the mass of humanity inside the local, I find myself on the sidelines, existing on what I’d have otherwise thought of as the society’s fringes—the hijras getting in at Mumbai Central and getting off at Mahalaxmi and the little girl playing a khartal who gets in at Elphinstone Road station leaving for the next return at Andheri. Shivranjana Rathore is a self taught writer and artist who dreams of highway roads while bumming along the beaches of Goa. Besides preserving the sanctity of coffee, she is also working on her first book which is a collection of poems.